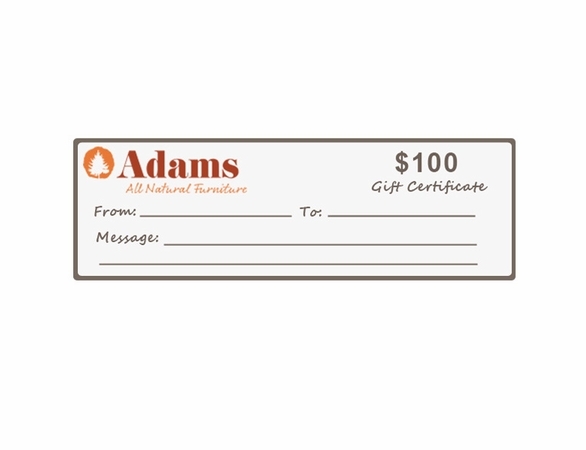 Gift Certificates from Adams All Natural Cedar and www.CedarwoodFurniture.com are the perfect gift for many occasions. 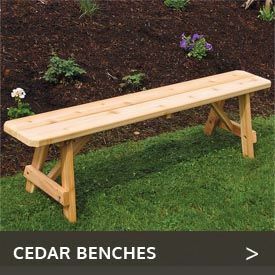 Our Cedar products are perfect for new homeowners, avid gardeners, Mother's Day, Father's Day, Valentines, Christmas, anyone looking to improve the exterior of their home and much much more! It's also a gift that appropriate for women or men who can sometimes be very hard to buy for. Give them an array of possibilities. 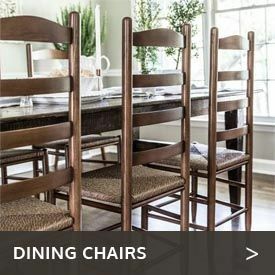 Maybe they'd like so new Door Mats, a new Patio Heater or a new set of Adirondack Chairs. You don't have to worry about what they want, let them decide! Our standard card amounts are listed in the drop down menu above. Don't see the dollar value you were thinking of? No problem, let us know and we can make that an option for you easily. The way our Gift Certificates work are more like a Gift Card without actually receiving a card. 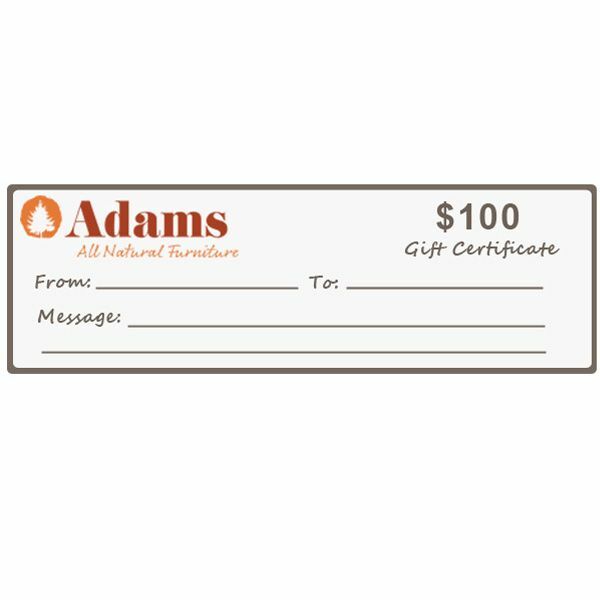 If you make a Gift Certificate purchase, within 24 hours you will receive a personal email from one of our staff with a "coupon code" that the recipient is free to use to make their own purchase at any time. Simply go through and place an order online. Enter the coupon code during checkout. If a higher priced item(s) would like to be purchased, that's no problem. They can pay for any additional amount themselves at checkout. We do not offer refunds of money already deposited, however there is NO time limit or expiration. 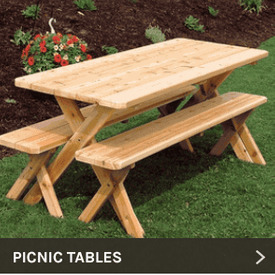 Give the gift of Cedarwood Furniture and the Outdoors and make someone smile! Most items will ship via UPS or FedEx ground delivery and do not require a signature. On large items and/or orders that don't meet ground shipping specifications, the order will ship long haul truck curb side delivery which does require someone to unload and sign for the delivery.